Chobo-Ji, Beacon Hill’s Zen Temple, is offering a four-part series on the basics of Zen philosophy and meditation, starting on Tuesday, October 15. Cost of the series is just $20, or $40 including the half-day on Sunday. All are welcome regardless of ability to pay. Come to one class, or all. For further questions, contact Tobin Fudo Youngs at 425-351-3929. 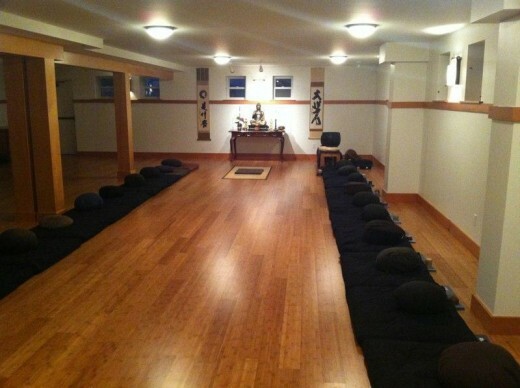 Chobo-Ji, the Zen temple on S. Horton, has a three-day meditation retreat that is aimed at beginners and older folks interested in getting a more intimate experience of what Zen meditation is. Zen Radicals, Rebels, and Reformers is the featured book at the upcoming Chobo-Ji book club. Interested folks are welcome to attend one or all classes. The suggested donation is $20 for the class series, and $40 for the classes and the half-day retreat. More info is on the class flyer here. 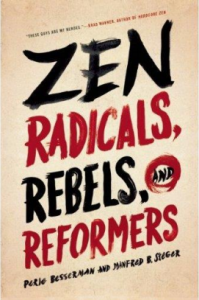 The Chobo-Ji Zen Book Club will be reading the book Zen Radicals, Rebels and Reformers by Manfred Steger and Perle Besserman, and meeting at Chobo-Ji to discuss it from April 11 to June 6, every Thursday evening at 7:00-8:30 p.m. Detailed information about the schedule is in the flyer here. Each session will mix dialogue and meditation. The suggested donation is $5 per meeting, and guests may attend all sessions, or individual classes. Cookies and tea will be provided. To register for all or part of the retreat, email zen@choboji.org to confirm your spot. 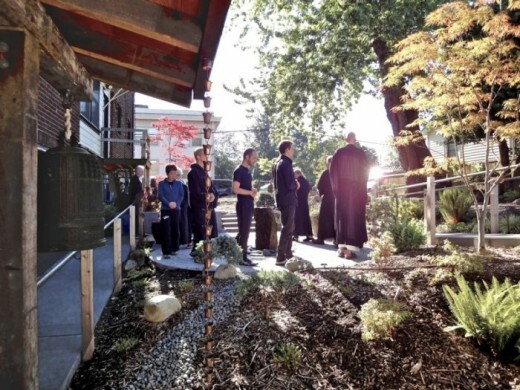 The Dai Bai Zan Cho Bo Zen Temple at 1733 S. Horton Street (Chobo-Ji) will host a lecture and several classes over the next few weeks for Beacon Hill neighbors and friends who have an interest in Zen Buddhism. The first event is this Saturday, January 12, from 9-10:30 a.m. Zen priest Rev. Kojun Hull will give a talk on Zen Master Dogen and his teachings. 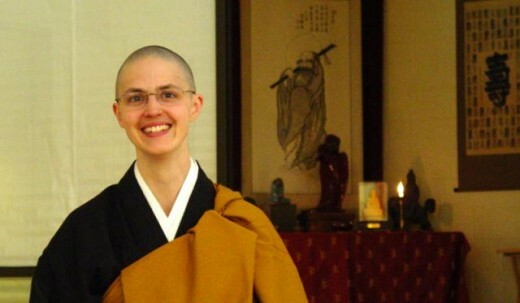 She is a Zen teacher from the Great Vow Monastery in Clatskanie, Oregon. Donations are welcome; they will be used to cover Reverend Kojun’s transportion costs and the rest will go to the monastery. Chobo-Ji is also the site of a series of classes over the next few weeks, open to all interested neighbors. Classes in the Introduction to Zen series will run each Tuesday through February 5 from 7:30-8:30 p.m. The series will be followed by a Sunday retreat on February 10 from 5-11:30 a.m. Neighbors are welcome to attend all or part of the series. There is a suggested donation of $20 for the Tuesday night series, and $40 for the series including the half-day retreat. For further information, contact Muken Rick Proctor at 206-817-4410. Rev. Kojun Hull, Director of Training, Great Vow Monastery. Photo courtesy of Chobo-Ji. 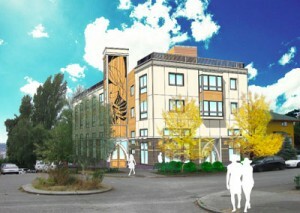 This is the proposed Findlay Street Christian Church building on South Bayview Street. However, the project has not been able to move forward. Findlay Street Christian Church has desperately wanted to move into the Beacon Hill area for years and this weekend (January 29th), we’ll be holding a trial service at The Garden House (2336 15th Ave. S.) 10:30am to check out the space and to introduce ourselves to the neighborhood. All are welcome—we have been an open and affirming congregation since 1987—and we’d love to meet you! A bit more about the church, Findlay Street Christian Church sold its property six years ago with hopes of moving into the Beacon Hill area. Three years ago, we purchased property on the corner of Bayview and 14th Ave S, we designed an ambitious, forward looking, mixed use building that included worship space and multi-unit affordable housing. Unfortunately, we have run into a number of unforeseen setbacks and have so far been unable to get the project off the ground. Despite numerous hurdles regarding this building project, we’re still eager to move into the Beacon Hill neighborhood and so we are excited to worship this Sunday.